A section of the Lower Benue River Basin located in Makurdi the Benue State capital was gutted by fire early hours of Tuesday. An eye witness told our correspondent that the fire started at about 9:45 am from the power house quickly spread to other sections of the company especially the motor park section burning down several vehicles there. 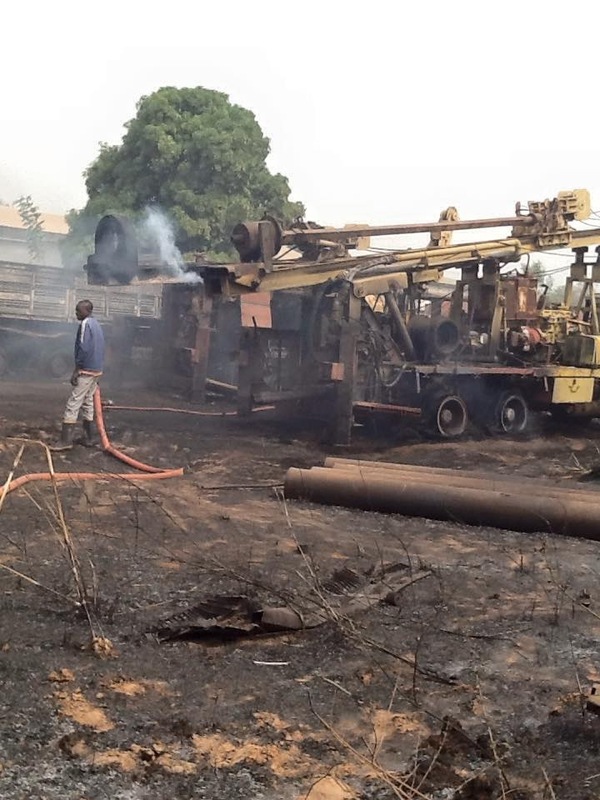 The fire which was said to have started due to electrical spark lasted for almost two hours before officers of the state Fire Service eventually came to put it off. When contacted, the state Chief Fire Officer, Andrew Onmakpo who confirmed the incidence said his men rushed to the scene of he fire as soon as they were informed and was able to PU it out before it could spread to other parts of the premises. Onmakpo who attributed the fire incidence to electrical fault from the power house of the company noted that the inferno consumed several vehicles within the premises but could not however give the exact number of vehicles affected at the time of this report.